Progress in aviation, in the last three decades, has been exceptional and exponential. Much of this accelerated progress can be attributed to the analytical strengths of information and communication technologies. The digital era has made possible accurate analysis and prediction through the development of design and analytical tools. Compilation of databases and exceptional knowledge management has given a quantum leap to aircraft design, development, and testing methodologies and techniques. With rapid developments in artificial intelligence, propulsion, and communication technologies manned platform are witnessing, probably, the beginning of the decline of its primacy to rapidly maturing unmanned combat air vehicle technologies, network-centric and communication systems, and algorithms enabling swarming tactics to become the mainstay of 21st-century warfare. While the USA has been the only country that has operationalised the 5th generation fighter for a significant length of time, by 2020 there would be at least six matured and fully operational 5th generation fighters in service – F-22 and F-35 with the USA and its allies, Su-57 and related versions with Russia, J-20 and J-31 with the Chinese PLA. While other aspirants including India, Japan, Turkey, and South Korea have ambitious plans, each would take a considerable amount of time to mature their designs into operational realities. For most countries and the world in general, while the USA has embarked on its 6th generation bomber platform, the 5th generation fighter is likely to be the last manned fighter project. The primary considerations for this eventuality would be the factors of high cost of development and the maturing of the unmanned platform technologies. A major power like India has no option but to go through with its 5th generation fighter aircraft programme. However, this imperative must be better understood to formulate and implement the right strategies. As mentioned above, time is running out for India, as the manned fighter programmes will come to an end by 2050, if not earlier. The strategic imperatives for India are to ensure it masters all the critical technologies by the time it completes the development of its 5th generation fighter, be it AMCA or any other name. It is imperative, to be a 21st-century major power, to be a technological leader, and aerospace capability is critical to becoming one. India’s Tejas – Light Combat Aircraft (LCA) programme is nearing completion. While a significant number of technologies have been mastered in the Tejas programme, there are still many areas where the aircraft is critically import dependent. The projected price tag of 69.5 million USD per piece for Tejas Mk 1A is prohibitively expensive for an aircraft of this size and capability. The primary reason for this high cost is its import dependency on critical components and aggregates. The Mk 1A’s price tag puts it almost at par with the cost of Boeing’s F-18 E/H Super Hornet. The two aircraft are not comparable. The Tejas Mk 1A, as conceived, will be a 4th generation aircraft, with elements of 4.5 generation avionics. Tejas has a small and short radius of action platform, based on an outdated light combat aircraft concept. While it has the fourth-generation quadruplex digital FBW (fly-by-wire) control system, its low combat radius constrains its operational relevance. Even incorporation of air-to-air refuelling capability does not make it practically viable. The F-18 Super Hornet is, on the other hand, based on a 40-year-old design platform but its maturity of avionics and sensors, besides its care-free FBW system – probably the best in its class, makes it truly a 4.5 generation platform with a significantly large radius of action as an MMRCA. The Tejas is import dependent for its power plant, radar, EW, communications, most of its weapons, materials and critical components such as its powerful actuators. These have pushed up Teja’s price tag. To indigenise these technologies, India will need to implement a coherent strategy involving both indigenous R & D, and collaborative research with foreign OEMs with risk and profit sharing partnerships. Mastering these technologies within India is sure to make the Tejas export competitive. India’s 5th generation fighter aircraft strategy, therefore, needs a two-pronged parallel approach – the first is to accelerate series manufacture of Tejas and its derivatives, with increasing indigenous content by replacing imported equipment like radars and weapons with Indigenously designed replacements; the second is to embark on prototype development and testing of the 5th generation platform. The first one is extremely important as it should involve the Indian private defence industry in a big way. As the Tejas aircraft matures through usage, user data generation is likely to have a very positive impact on the development of subsequent derivatives. India will need to invest significantly in developing its own airborne radars (both conventional and AESA) and prove them on the Tejas platform. LRDE has reportedly developed an indigenous AESA radar prototype. Since India has no proven air-borne radar development so far, one needs to be practical and brace up for a long duration development testing process. To time this correctly with the 5th generation aircraft programme, a well-planned development strategy involving Air Force, DRDO, and the industry needs to be crafted. Invariably this has been our weak point. Similar strategies need to be focused on the development of EW systems, sensors, NCW systems and Software Defined Radios(SDR). Critical materials are another weak area. Tejas is a composite-intensive platform, using carbon composites. The programme resulted in the development of various processes in composite fibre laying techniques, which is a very creditable achievement. However, much of it needs to be modernised, which is a question of much higher capital investment. As most of Tejas manufacturing goes into private industry, they will need to be assisted to build world-class composite manufacturing facilities. India is heavily import-dependent on the carbon composite raw materials – prepregs. This is a heavily guarded technology, often denied, and the raw material for fighter aircraft has severe storage conditions and limited shelf-life of less than 12 months. It is also very expensive. It is obvious that the raw material will have a bearing not only on the cost but also on our freedom to manufacture the necessary numbers as well as our ability to export. It is also mandatory that Tejas becomes the core of our defence exports and defence diplomacy. If this is to happen, India will need to make Tejas cost competitive, as well as remove any limitations on our production rate. All this points to the importance of getting control over critical material technologies. While a significant number of components, on the Tejas, are now indigenous, it is also important to know that critical components like the powerful actuators are still imported. Indian Space Research Organisation (ISRO) has successfully indigenised this design. However, it is still to complete the development process and get into series manufacture. This needs to be accelerated. Finally, the most critical element – aero-engine – should be part of this strategy. The Kaveri engine, which is 90 per cent developed in terms of design and concept, still suffers from the deficiency of material knowledge, and optimisation of the thermodynamic cycle. Mastering the power plant technology is critical to bring vital elements of aerospace power within the nation’s grip. 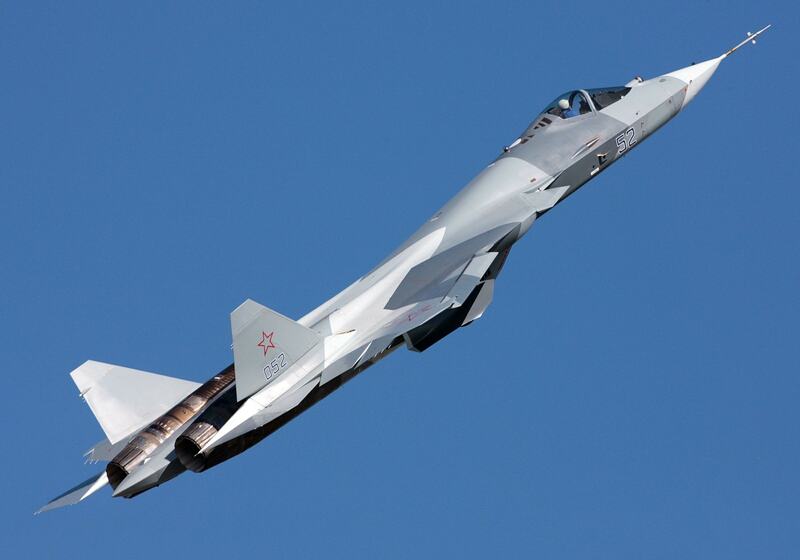 The second part, which is the 5th generation fighter aircraft programme, can develop parallelly in the prototype stage. Given the status of India’s aerospace capability, we will need a reliable international partner to accelerate the process. This can be achieved only through a risk-sharing joint venture partner who has a stake in the success of the programme. The first part, which is all about completing the indigenous capability in different areas and should be called ‘Tejas Strategy’, is vital for the success of the second part. It is not enough just to design and make an advanced aircraft with huge import dependence, which can be done easily. This is what has been achieved in the Tejas programme. But the 5th Generation aircraft must not only be done in a much shorter time frame, but it must begin with significantly high indigenous content in terms of design, materials, critical components and technologies, and materials. Completion of the Tejas strategy is vital for India’s 5th generation fighter aircraft programme. The rapid development of Tejas derivative versions; Mk 1A, Mk 2, Mk 3, etc; should be about maturing the aircraft and technologies indigenously. The Tejas, in its higher variants with increasing indigenous content, should be produced and exported in significant numbers to friendly countries This would ensure that major critical technologies are in our control, and it would also ensure maturing of India’s defence industry, particularly in the private sector. Air Marshal M Matheswaran AVSM VM PhD is an Air Force Veteran, former Deputy Chief of IDS, and the President of TPF (The Peninsula Foundation), a Chennai based Think-tank.